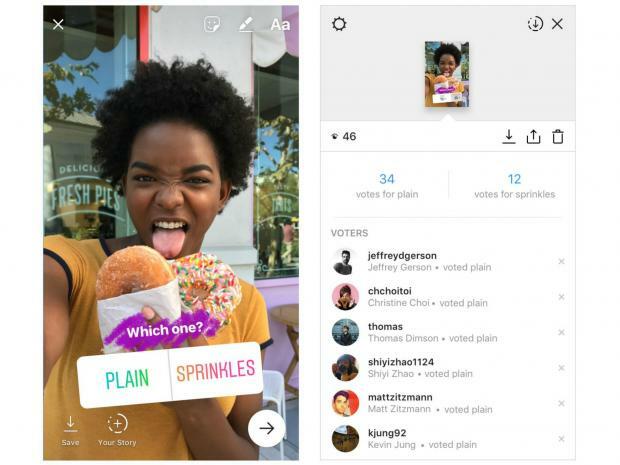 Instagram has been added the ability to conduct polls in Stories. Now you can ask any question with two answers, and see what your friends and subscribers will choose. The function works through a sticker, which you can add to your photo or video. Polls are available in version 16 Instagram and newer. 2)Go to the main tab on the ribbon. 3) Click on the icon to your profile in the upper left corner or swipe to the right to add a new story. 4) Take a photo, take a video or select them from your library by clicking the button in the lower left corner. 5)Click on the emoji icon in the upper right corner or swipe from the bottom-up screen to open the menu with stickers. On it you will see a new Poll sticker. Note: If you do not have this sticker, the feature is not yet available in your country. 6) Ask your question and enter your answer options. You can add only two options. You can use other functions to make your story more beautiful. 7)When you finish editing your story, you can publish it. After that, your friends and subscribers will be able to vote by clicking on one of the options, and immediately see the result.